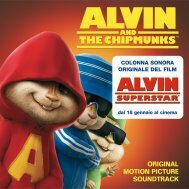 Confronta i prezzi e acquista online pupazzi di peluche di Alvin and the Chipmunks . Cuddly toy Alvin Ty Beanie from Alvin & the Chipmunks is an adorable addition to your collection of soft toys. This Ty Beanie Alvin is made from plush fabric with a washable surface. 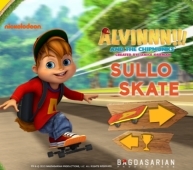 Alvin Seville is the second born of the three chipmunks. He is impulsive, charming, musical, and full of energy. He makes up hard-brained schemes to get what he wants whether it is trying to help his brothers, or keeping Dave, his adoptive father, from figuring something out. Alvin's signature colour is red and plays the harmonica, piano, and guitar. He is also the leader of the group and the lead singer. He describes himself as 'the awesomest one'. Alvin also often pushes Dave over the edge which always gets him yelled at. Despite this reason and the fact that he takes advantage of his youngest brother, Theodore, he cares deeply for them but is 'too cool' to admit it. Alvin & the Chipmunk - Ty Beanie - Alvin is a great beanie toy for children to cuddle at bed time. From the ManufacturerEleanor and Theodore are such a cute pair. Plus she can sing with quite a flair.Product DescriptionEleanor is a cute little chipmunk that is part of the Chipettes. Brittany is the lead singer of the Chipettes and is the female counterpart of Alvin. She has a pleasing facial and physical appearance, but at times can be vain and self-serving with the extreme desire to have whatever she wants. Often Brittany is happy to outdo others that she at times dislikes. Sometimes she can go to extreme points of either getting what she wants or outdoing Alvin in a bet or contest. Brittany is the lead singer of the Chipettes. Cuddly toy Brittany Ty Beanie from Alvin & the Chipmunks is an adorable addition to your collection of soft toys. This Ty Beanie Brittany is made from plush fabric with a washable surface. Alvin & the Chipmunk - Ty Beanie - Brittany is a great beanie toy for children to cuddle at bed time.